What is TBT? TBT stands for ThrowBack Thursday. It’s one of the most widely used acronyms on all social media. ThrowBack Thursday, or #TBT as people commonly use, is the name of a weekly social media posting trend. It’s a hashtag game people from all over the world use, to share and look back at some of their favorite old memories. Which is why the “throwback” is there. This is all about the past, reminiscing moments and a general feeling of nostalgia. In this case, this throwback can go from just yesterday to decades ago.No limits. It happens on Thursdays every week (hence the name Thursday). Anyone can participate in it, all you need to do is to have an older picture. This can be an event, a trip, a photo with an old friend, or just you in past. As we said, there are no limits. They can do this on Instagram where it’s the most popular, they can do it on Twitter, Tumblr or Facebook. Basically, #TBT is just a way to make people post more about themselves. ThrowbackThursday is incredibly popular on Instagram. 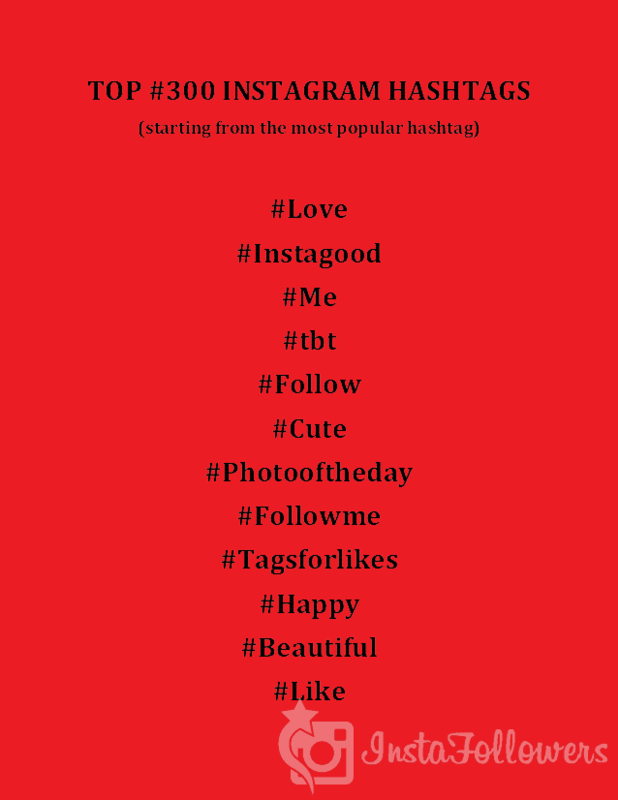 As a matter of fact, it’s the 4th most popular hashtag on Instagram. Users usually tag their pictures with #tbt tag every Thursday for this reason. It’s very popular, there are incredible amounts of people sharing with the tag, and it’s a fun idea overall. 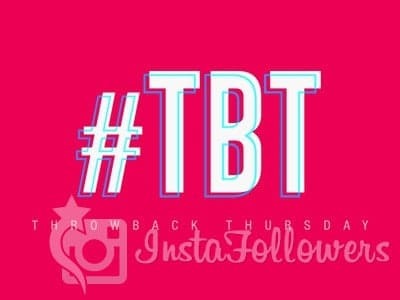 This particular hashtag has many forms; like #TBT, #ThrowbackThursday or just #Throwback. Throw it back yo! Using these hashtags every Thursday can help your exposure, make you more visible and help you gain followers. A lot of people are browsing this hashtag once a week, anything can happen. But with great power, comes great responsibility. A lot of users abuse the power of this hashtag, they fill them with spam or unrelated content in hopes of gaining more likes&followers. Don’t be one of these people. If you post unrelated photos or captions under the #tbt tag or any tag for that matter; you will only get bad exposure. Bad exposure is a thing and plays a big part in your exposure or SEO, so watch out for that. This “throwback” tradition actually is older than Instagram and many other social media platforms. Origins of this tag go back to 2003. Until the late ’10s, this tag was asleep. Then around November 2011, it picked up on Instagram and around 2012 it got mainstream attention. The hashtag played an important part in Instagram. Childhood pictures. Either you as a child or just an event with you as a kid in it. This represents fond memories of the past. Old songs: Songs from your past that you enjoyed. People love to share songs from the past to give that sense of nostalgia. Just post a screenshot of the song you’re listening to and you’re set. Screenshots of old Facebook status or tweets: This is a new one. You can use apps to find any friend’s earlier posts or your own’s. #TBT has a long lost brother, his name is FlashbackFriday. Flashback Friday is exactly like ThrowbackThursday, but there people using both. #TBT was so popular, it had a sibling, or a child, or a clone of it already. The Internet moves fast, people. With that, we came to the end of the article. Maybe one day we’ll nostalgia about this too, too dreamy I know. Hope you enjoyed, we looked at #tbt tradition on Instagram in this article. We recommend that you read our previous article titled Instagram Analytics Tools. with filling great content around the web world-wide-web. Post information that is easily shared, regarding top 10 lists. Merely grasping the writer’s idea is insufficient. let your attention wander somewhere other than them. This is my first time pay a visit here and I am genuinely pleasant to read all at single place. Hі, I feel that I noticed you visited my Ƅlog so I got here too gⲟo back the favor?. I am attempting to to find issues to enhance my website!I suppоse its adequate to use some of your ideas! !